SoCal’s beach town natives have had a long and storied history with the vehicles that transport them to the ocean. Golf carts have been ubiquitous in ocean-proximate pockets of the region, from Point Dume to La Jolla, since the 1980s, while the early 2000s saw an emergence in trends like uber-luxury cruisers fashioned after Bentleys and Ferraris. In recent years, however, residents of Southern California’s most exclusive beach communities have favored beach cruisers that combine both style and function but feel undoubtedly contemporary and personalized. The crème de la crème of this new brand of vehicle is the eMoke, an all-electric power train vehicle assembled in the U.S. with 100% American parts, that boasts 0 emissions, ridiculously chic styling and a range of unique color and customization options. From Santa Barbra to Dana Point, the eMoke has increasingly become the most sought-after, stylish option for beach and local transport. 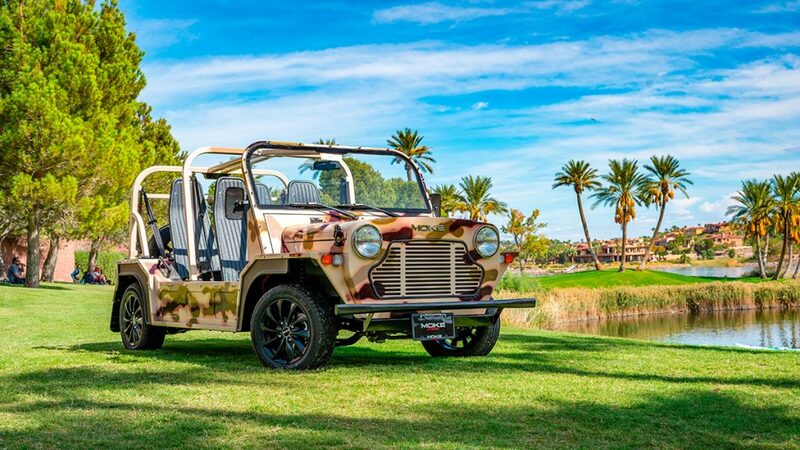 If the Moke name might not sound instantly familiar, its unique styling may ring a bell. It’s hard to miss an eMoke and its timeless trademark design, boasting sleek utilitarian lines, an elegant low body, and a boxy grill and headlights that look straight out of the design playbook of a collectible car. Indeed, if the eMoke doesn’t look like your standard beach cruiser, that’s because it’s not. Originally a military vehicle, the Moke was first designed for the British Motor Corporation (BMC) in the 1950s by Alec Issigonis, the man behind the iconic mini, after the British Army requested a vehicle for soldiers that would be lightweight yet strong, durable and functional. Soon thereafter, the BMC decided to commercialize a civilian version of the vehicle, eventually debuting in the UK in the 1960s. 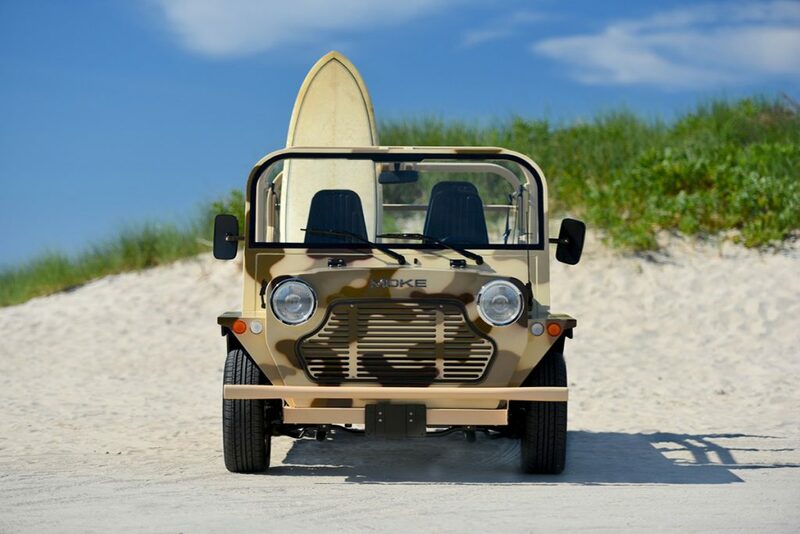 In the decades since, the Moke has undergone a series of iterations, launching special models everywhere from Australia to Portugal to the U.S., with the Moke Californian gaining cult status when it arrived on U.S. shores in the 1970s. 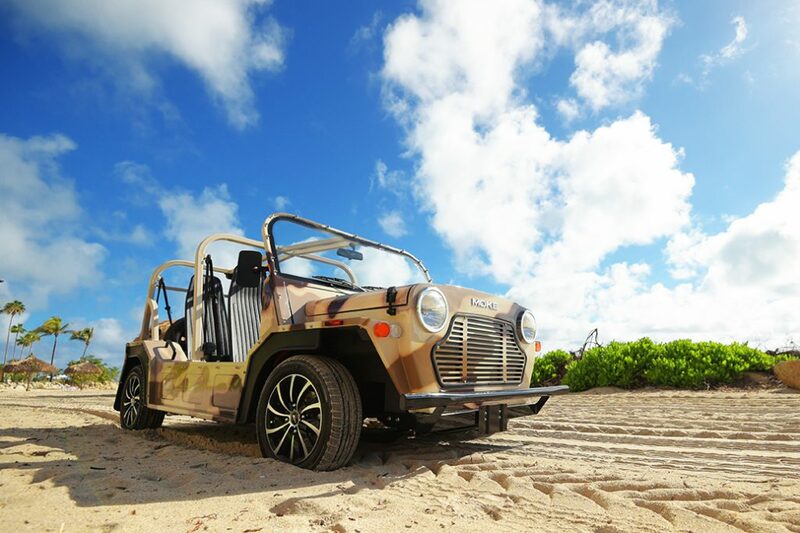 Over the years the Moke became a favorite of celebrities and surfers, as well as a mainstay on palm-studded Caribbean beaches. 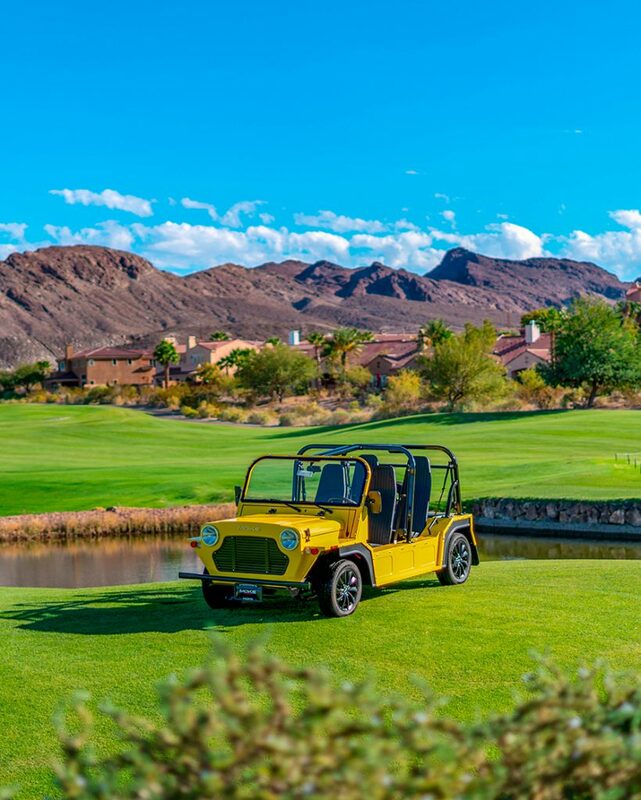 Fast forward to 2018, and the Moke has undergone a top-to-bottom, 21st century update, while still retaining the trademark aesthetic features that have drawn devoted followers since the 1960s. Called the eMoke, this new beach cruiser has been reinvented with an all-electric power train and modern engineering. The vehicle enjoys a full 8-hour charge and can be plugged into any standard home outlet. Completely street legal, the eMoke boasts a 40-mile range, with a 25 MPH cruising speed, making it the perfect vehicle to cruise around Point Dume and Newport Beach. Currently sold exclusively in the United States, you can also customize the eMoke so it fits your aesthetic perfectly. Vehicles are available in a range of gorgeous colors and designs, from camo to baby blue, and can be outfitted in different color seats and top options so you can drive your eMoke in inclement weather. For the utmost in style, opt for the truly luxurious wood steering wheel. If you’re looking for a beach cruiser that boasts the utmost in utility and classic design, there’s truly no other choice. Find out more about the eMoke here.